The Summer has flown by up here in New Hampshire, but between my hiking, writing and general all around relaxing, I have managed to to publish the second (and final!) 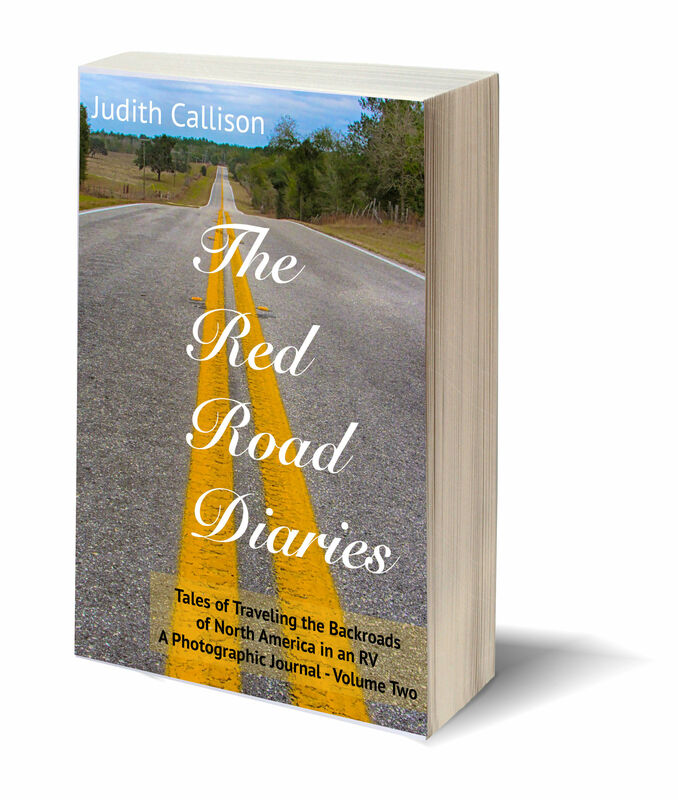 volume of The Red Road Diaries on Amazon.com. Volume One, which covers our travels on the East Coast, the Midwest and eastern Canada, was published on Amazon and iBooks in the Spring. Many of you may not have followed along on this blog since the beginning and may want to catch up and do some armchair traveling. Volume Two covers our travels in the Western United States, Mexico and the Canadian Rockies. Like the Blog the book contains lots of great photographs and insights into RV travel. Check out the details of both volumes at either my blog or my Author’s page at Amazon. Do you ever dream of escaping your day-to-day life and taking off on a cross country road trip? The Red Road Diaries is a two-part series that captures all our experiences roaming the back roads of North America in our motorhome. Loaded with stories, photographs and insights into the RV lifestyle, Volume Two of this series takes you west across Texas and throughout the Southwest. We explore The Painted Desert, The Grand Canyon, Bryce, Zion, Yellowstone and more. Come along as we caravan down the Mexican Baja to Cabo Sans Lucas. Enjoy the beauty of Montana and Glacier National Park. Cross the Canadian border with us to revel in the majestic Canadian Rockies. Join us as we canoe the lakes of British Columbia, and then sail the Inner Passage south to Vancouver Island. Explore the Pacific Northwest and the craggy shores of the Pacific Coast from Oregon to Southern California. Whether you are just an armchair traveler or planning an adventure of your own, The Red Road Diaries will spark your imagination. Once you have seen the possibilities, you might be motivated to try the RV lifestyle yourself. As in Volume One, you will pick up innumerable tips and suggestions regarding RV travel, as well as a wealth of resources to help you on your way. So come along as we explore life on the road, from the beauty of our National Parks to the oddities only found off the beaten path. The Red Roads await.